‘ Candice lives in Centennial, Colorado with her husband, son, and her pathetically stupid but therefore very sweet cat Maia. Candice loves to make and drink wine and mead and is a professional hedonist, rabble-rouser, and goat-herder. She has plans for an entire line of ‘Cast out of the Garden’ gnomes, including Goth-Gnome, Were-Gnome, and the already prototyped Dyke-Gnome, complete with Birkenstocks. She adores archeology and all things Greek/Roman, so if you send her fan mail, please send it on cuneiform tablets, papyrus, or traditional vellum. She writes in whatever genre which suits the story being told and feels no compelling need to make a long-term commitment to any given style. 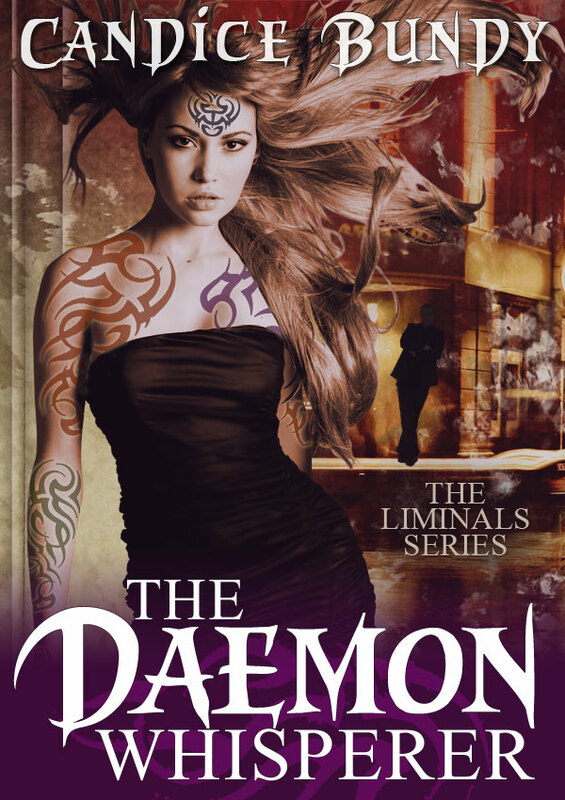 The first book in the The Liminals urban fantasy series, The Daemon Whisperer, is due out October 2012. The second book, The Madness Path, is in development. The first book in the Depths of Memory sci-fi/horror trilogy, The Dream Sifter, is due out in Winter 2012, and the second book, Dreams Manifest, is due out Spring 2013. The third and final book, Forsaken Dreams Pursued, is under development. She is also a winemaker, and co-own’s Dithyramb Winery, a small winery in Centennial, Colorado with her husband Sean. They make a variety of wines from Colorado’s Grand Valley AVA grapes and meads from Colorado honey. They’ve won medals and been written up in prestigious magazines, some of which are still in business. Thank you for stopping by for an interview today, Candice! Your bio is hilarious, and seems to ooze creativity. Have you always wanted to be an author/writer? Yes, I started writing stories in grade school, in fact my first one from second grade reminds me quite a bit of the beginning of War of the Worlds. I started writing my Sci-Fi series in my twenties, but it took a long time to come together. Making writing a priority in my life, and then carving out time for it around working full time, took adjustment. I knew I needed to keep at it, however, because the story ideas just wouldn’t stop flowing. Can you tell us more about your latest book? My latest book, The Daemon Whisperer, due out October 2012, focuses on Meri Storm who lost her parents to a daemon when she was just a young teen. Sworn to avenge their deaths, she gets the opportunity years later when offered a job–and the payoff is information on the daemon who killed her parents. The catch: she has to work for the very daemons she despises and distrusts. Things get complicated fast, and before long she’s entangled in a web running more than skin deep. Excited for that one, can’t wait! Can you share with us where the inspiration behind your writing comes from? I like to play what-if games in my head, whether I’m people watching, talking about something funny with friends, watching a show (and thinking of alternate endings), or reading books. I have Temporal Lobe Epilepsy and most of my seizures happen at night when they happen, inducing a very creative space. The seizures can be very vivid and usually wake me up, so I keep plenty of notes afterwards. In addition, two psychologists raised me, so I grew up asking, “Why would someone make that choice?” in reaction to a situation, almost by reflex, because I watched my parents debate it daily. I place my characters into situations which are uncomfortable, where there are no clear and easy wins, and then work through the emotions around dealing with solutions they’d initially wanted to avoid. Wow, the seizures sound scary…but if that helps your creativity, that’s pretty awesome. Tell us about your writing process, do you have a daily writing routine? During the week I have a daily commute on Denver’s light rail, about 35 minutes each way, and I’ll either write or edit on my netbook then, as well as during lunch. I’m always listening to music, either my own mixes or Pandora stations I’ve created. I’ll typically also spend some time at night, although not always on the same project. However, during editing pushes, I often to stick to the same manuscript just to get it done. I’ll also practice the old standby: escaping to a coffee shop to write. It’s how I finished my first book, The Dream Sifter, many years ago, which I’m just getting ready to publish this Winter. So, the coffee shop actually works. I keep wanting to try this, lol. What do you like to do when you aren’t writing? I love to read quite a bit, I also make wine, camp, hike, cook, and spend time with friends. Wine? Did you bring some to share? Just kidding (kinda). If you had an entire week to read uninterrupted, which books would you pick up and why? That sounds like an AMAZING reading week! What has been the most rewarding part of your writing journey so far? Connecting with other writers and readers has been a wonderful experience. I’ve not only discovered new friendships, but also a wealth of information it would have taken forever to find on my own (assuming I’d found it at all!). What advice would you give to writers interested in publishing? Write because you love your stories, and the process brings you joy. You may also want others to love them, and you may want to be paid for writing, but those can’t be the reasons you write. Those reasons won’t drive your passion, or your creativity. Writing takes a long time, and to do it well takes even longer. The process of publishing, however you undertake it, takes even longer. Wonderful advice, all of it. What can we expect to see from you in the future, Candice, and where can we find your work? The Dream Sifter, the first book in my sci-fi/fantasy series The Depths of Memory is due out this Winter, and I’m working on edits to its sequel as well as writing the next book in The Liminals series. 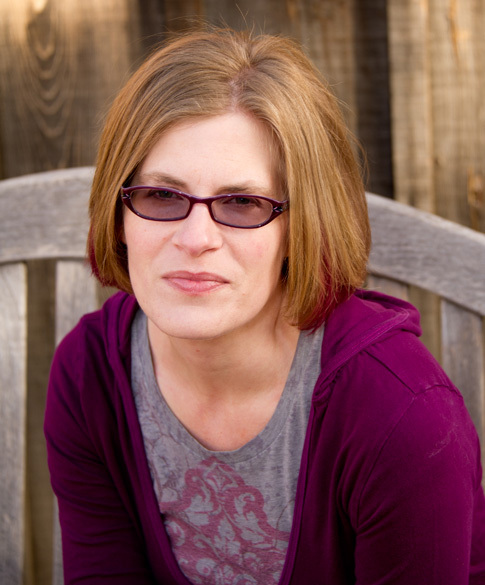 I encourage readers to follow my blog at candicebundy.com for updates. Sounds great! Before we go, if you could shadow your favorite Author for a year (living or dead) who would you choose, and why? Chuck Palahniuk. Although I found him via Fight Club, he won me over with Invisible Monsters, Choke, and Haunted. His writing gets under your skin and challenges you, interrogates you, sometimes even rips something open inside of you, and then you walk away changed every time. I’d be curious to gain insight into his creative process and how he researches his stories. That’s an interesting and excellent choice! Candice, hold on tight! It’s now time to finish up this awesome interview with our Rapid-Fire Questions! You can find more of Candice online at Amazon, Facebook, Twitter and Goodreads. Thanks for joining us today, and thank you Candice for your time!! Meriwether Storm discovered the grisly remains of her parents on their living room floor when she was only fourteen, the result of a failed daemon summoning. Meri immediately swore vengeance on the daemon who’d killed her parents, but there was only one problem–she had no idea which one had committed the atrocity. Before their untimely deaths her parents had trained her intensively in the arts, and Meri used her skills to follow in their footsteps, ever seeking the daemon’s name. Now, despite her years of searching, she’s no closer to the truth and her time is running out. Will she accept a deal from a daemon if it means finally learning the truth? When retribution is the only thing that drives you, how much are you willing to sacrifice before you lose yourself to the cause? Nicely done, Candice!! I’ll have a glass of Pinot Noir, please! Well, our Pinot Noir is still bottle aging. Would you take a glass of Syrah or Cabernet Franc instead. 😉 Thanks Susan!